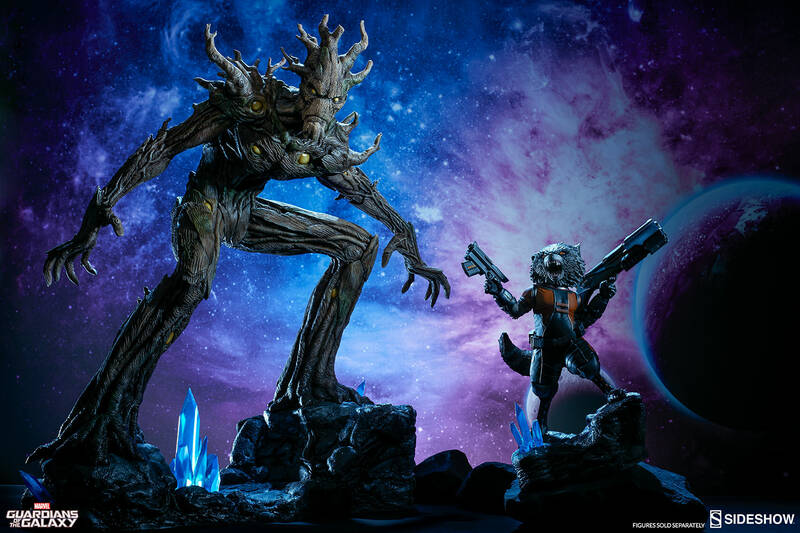 It wasnt easy to capture a Flora colossus. 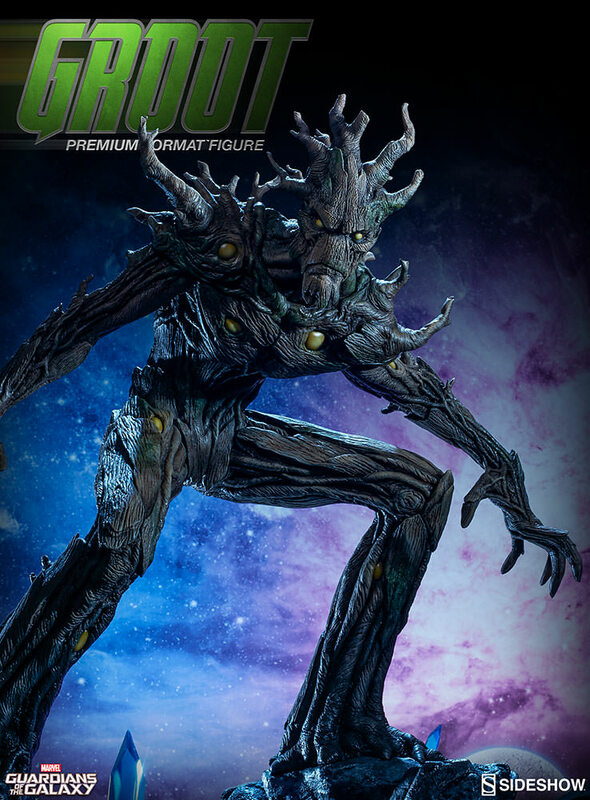 Honestly, there arent that many of them floating around the galaxy and, ironically, theyre not fans of holding still long enough to capture their likenesses. 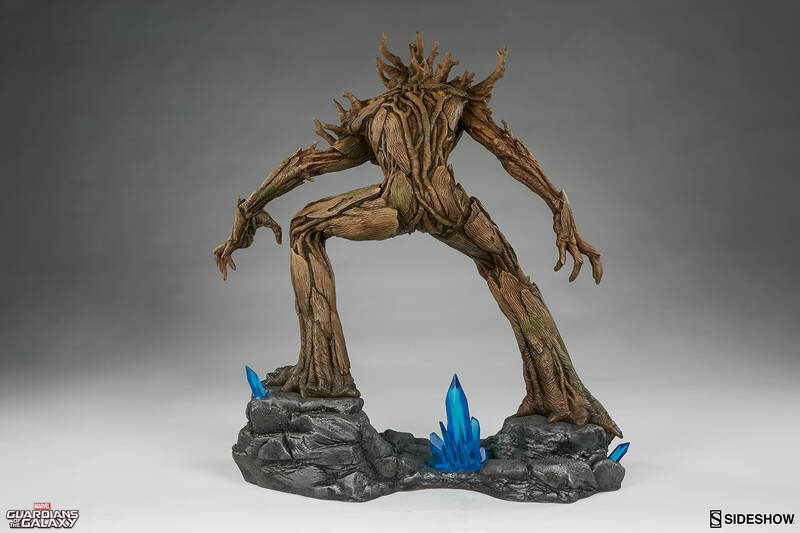 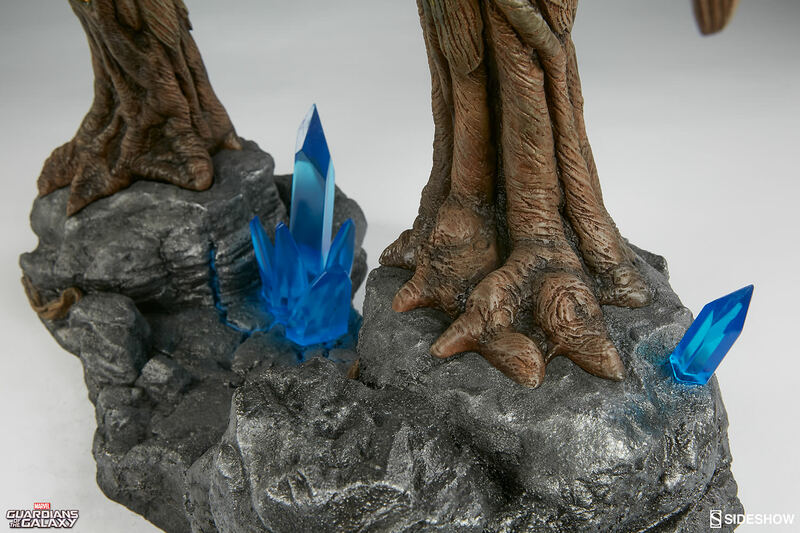 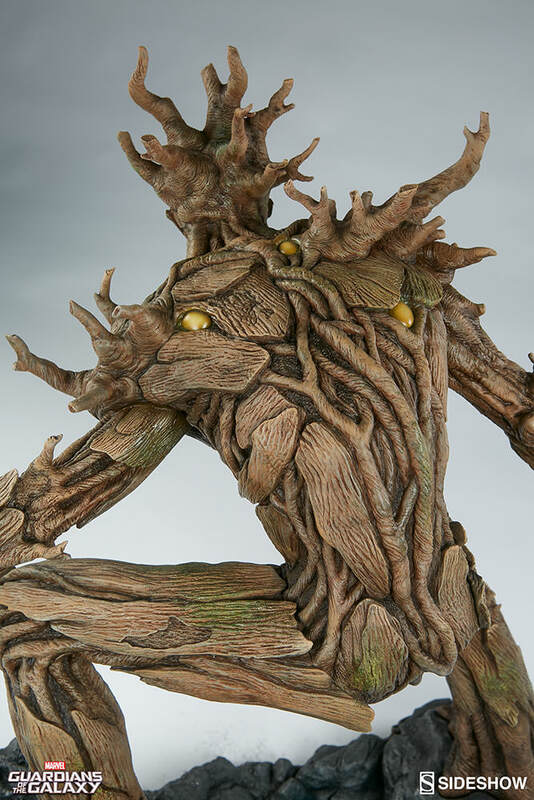 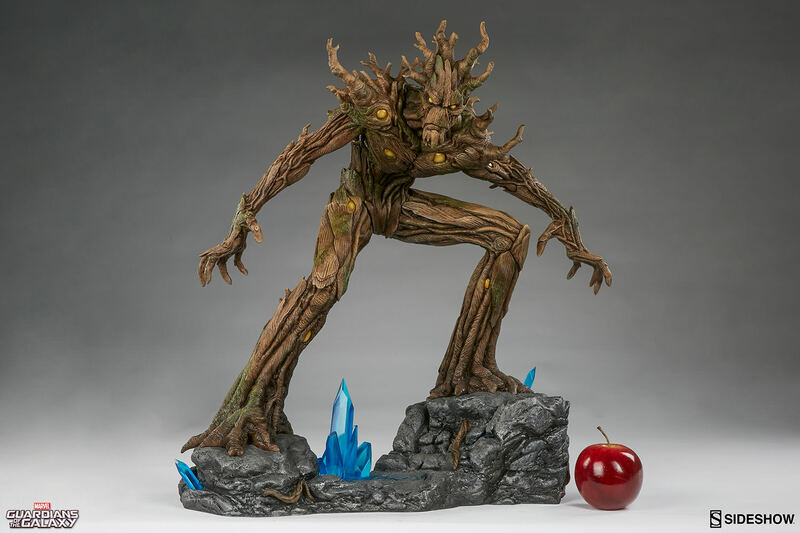 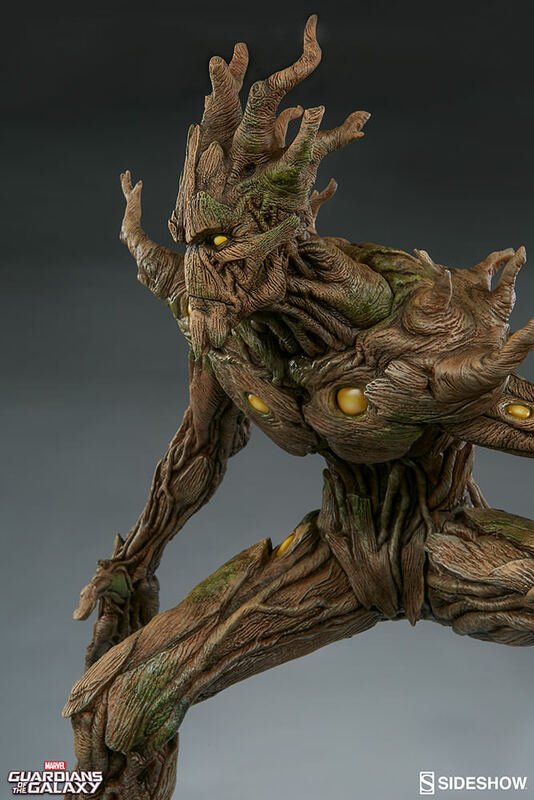 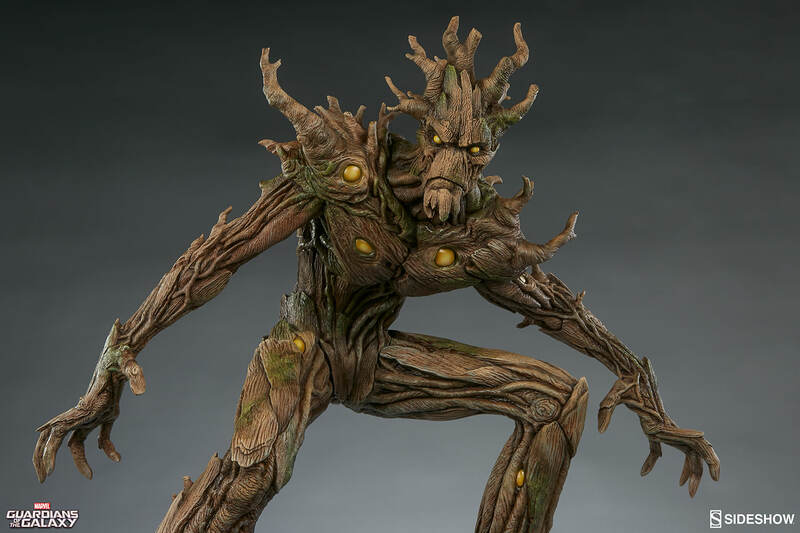 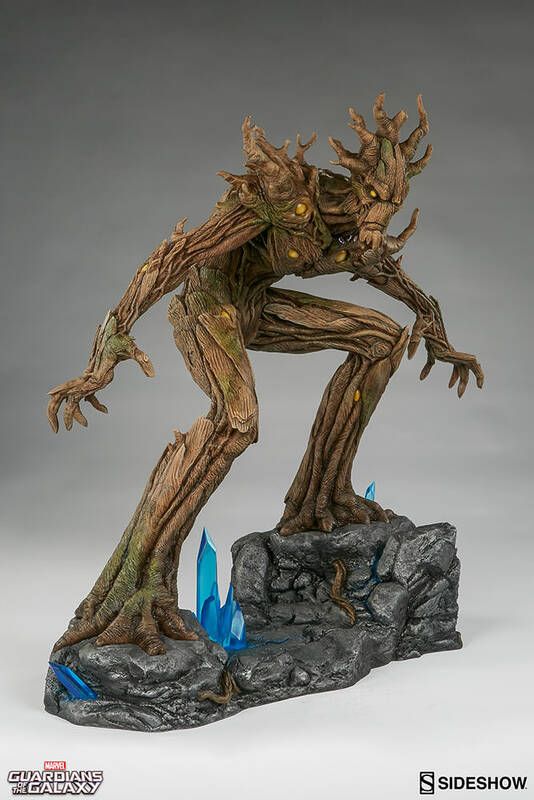 Regardless, Sideshow is pleased to announce the germination and growth of our own Groot Premium Format Figure. 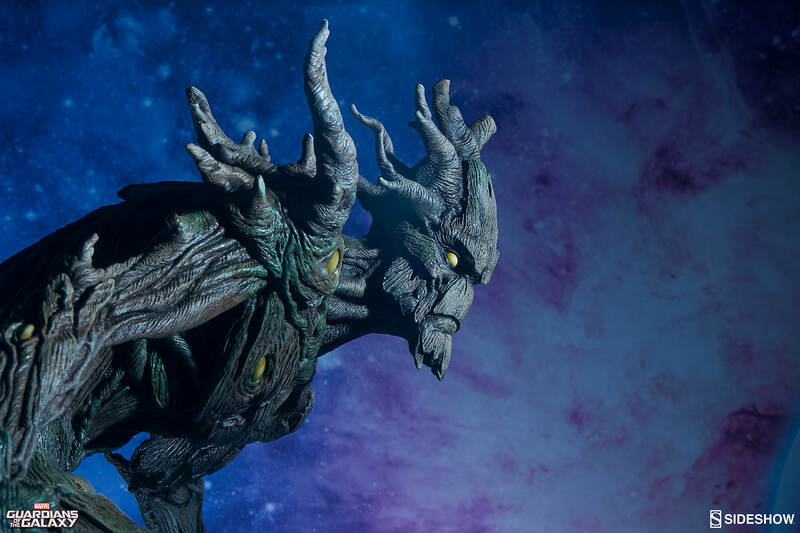 Styled out of polyresin instead of wood, the larynx of this particular Guardian of the Galaxy is a bit more stiff than normal, so you can expect even less conversation out of him. 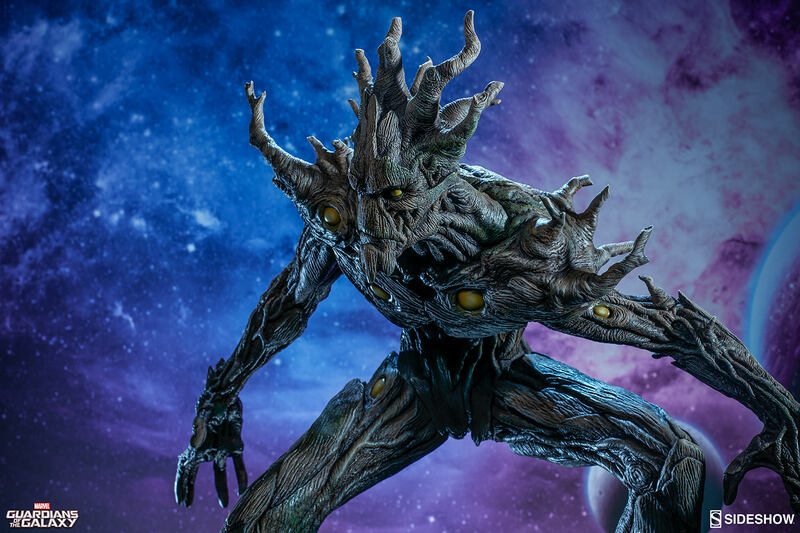 Our Groot Premium Format Figure stands at a massive 22.5 inches tall with a width of 20 inches causing this unflappable companion of Rocket Raccoon to leave a staggering impression amongst the rest of your collection. 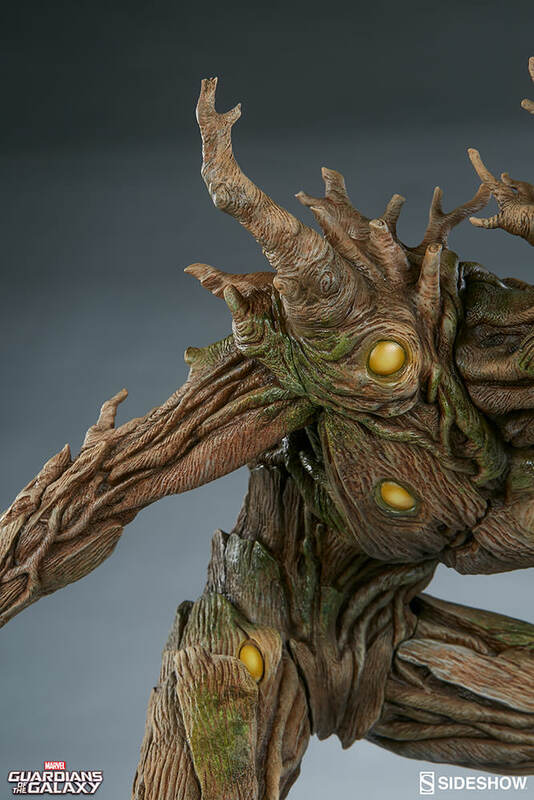 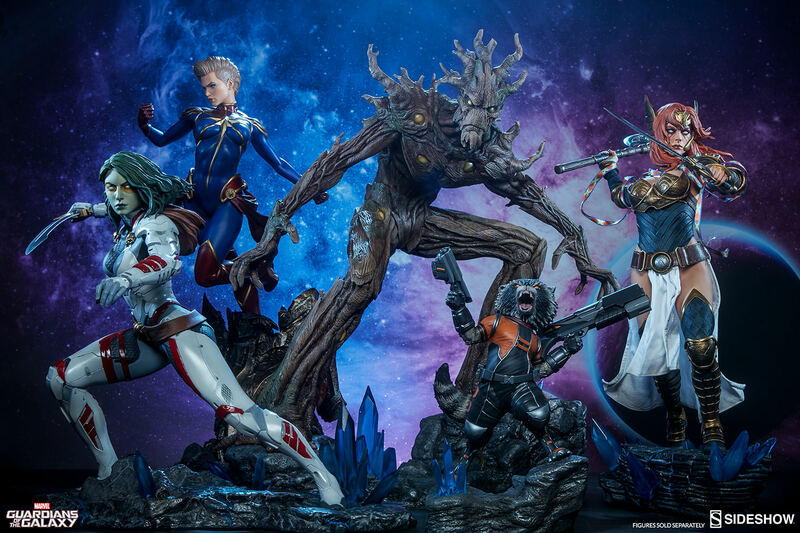 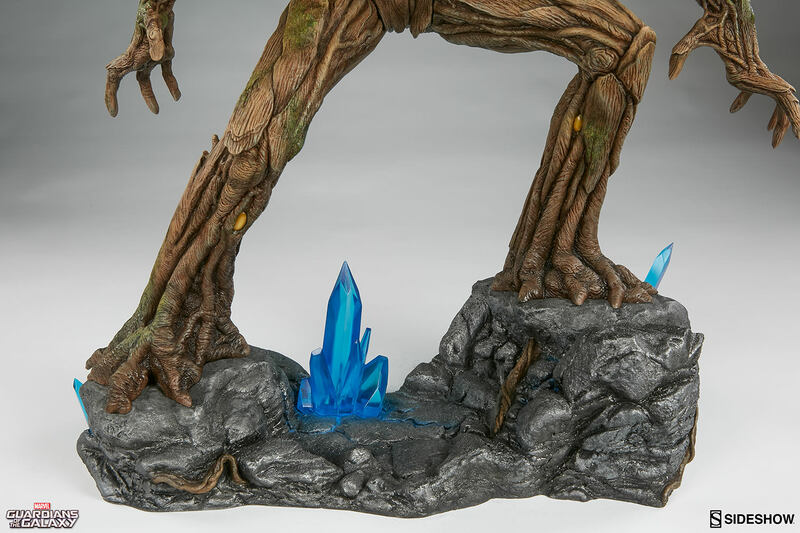 The Sideshow Exclusive variation features an outstretched and attacking arm with tendrils reaching out to grasp an opponent foolish enough to test his mettle against the massive trunk and intellect of Groot. 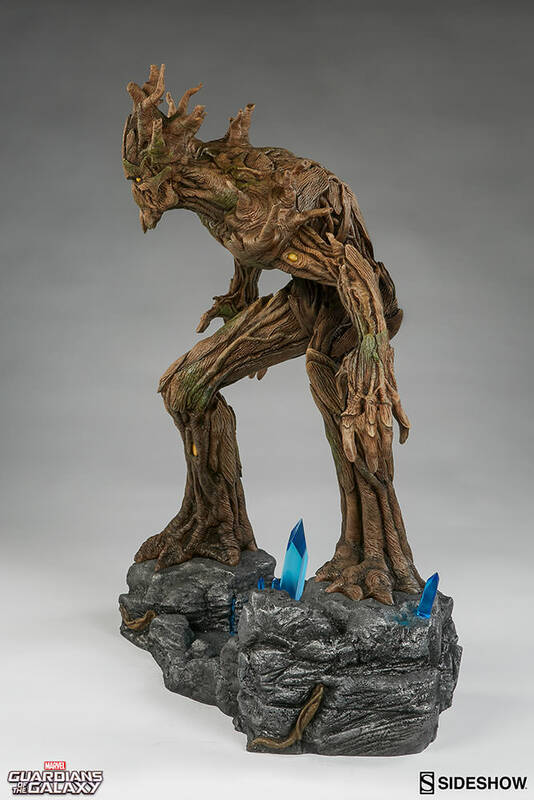 This page is cached at 12:32:16 .